Be the first to share your favorite memory, photo or story of Wilfred "Willie". This memorial page is dedicated for family, friends and future generations to celebrate the life of their loved one. Wilfred “Willie” Smetana, 91, of Black River Falls passed away on March 10, 2019. Willie was born September 30, 1927 in Bloomer, WI. to John and Agnes Smetana. He married Irene Rutherford in 1964. Willie spent a short time in the Army during WWII then went to work for the Wisconsin Department of Natural Resources. After several years as a stream improvement specialist he accepted a job as a corrections officer at the Black River Boys Camp until his retirement in 1988. Willie and Irene also owned and operated Club 12 supper club in the 1970’s. Never afraid of hard work, and rarely able to sit still, he managed to cut pulp wood nearly every morning before going to work at the Boy’s Camp in the evenings. He was also a licensed “blaster” and used explosives to create ponds, blow ditches, demolish structures and clear culverts of beaver dams in his “spare time”. Willie had many interests and kept himself busy. 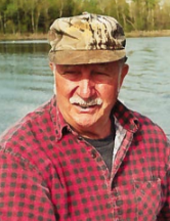 He loved to fish, especially Muskies, and had made many trips to Canada, Minnesota, and northern Wisconsin. He had recently spent a lot of time fishing with his brother Jim. He was an avid deer hunter and also hunted moose and bear in Alberta. He made several trips to Wyoming and Colorado to hunt elk and deer with his son Jeff. Willie was a talented artist and expert carver. He carved birds, ducks and also made Santa figurines. He recently started carving canes out of the unusual pieces of wood he found. He loved to give his creations to people. Willie was story teller and enjoyed sharing them with family and friends at the Airport Lounge in Black River Falls. Wilfred is survived by his son Jeff (Tracy) Zindrick of Colorado; step-daughter Linda (Charles) Binford of Indiana; special granddaughter Jayde Zindrick of Colorado; Grandson Dustin of Wisconsin and Great Grandson Nicholas of Colorado; his brothers and sisters James (Rosie) Smetana, Rita (Ike) Miles, and Genevieve Smetana all of Black River Falls, Father Joseph of Appleton; and sisters-in-law Clara Smetana and Lois Smetana, both of Black River Falls. He is further survived by many nieces and nephews. He was preceded in death by his wife Irene, parents John and Agnes Smetana; brothers Paul and Bernard Smetana of Black River Falls. A funeral service will be held on Friday, March 22 at 11:00 a.m. at Torgerson Funeral Home, 408 N. Water Street, Black River Falls, WI with Father Emmanuel Famiyeh officiating. The Funeral home will begin accepting visitors one hour prior to the service. The Torgerson’s Funeral Home of Black River Falls is assisting the family with arrangements. To send flowers or a remembrance gift to the family of Wilfred "Willie" Jerome Smetana, please visit our Tribute Store. "Email Address" would like to share the life celebration of Wilfred "Willie" Jerome Smetana. Click on the "link" to go to share a favorite memory or leave a condolence message for the family.